Display just how proud you are to be his mommy with our fun graphic baby tees and bodysuits! 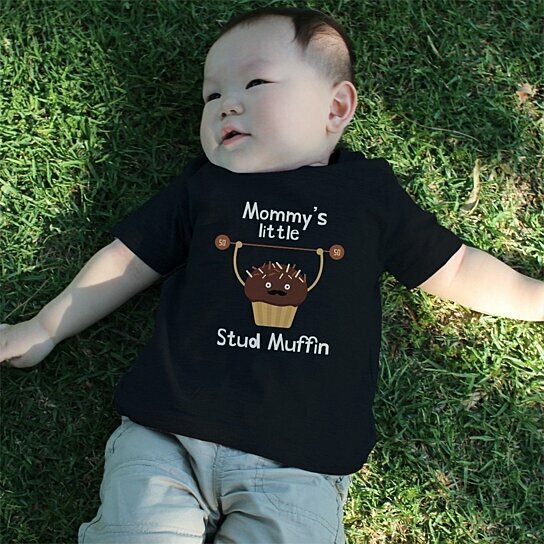 Our unique design features a cute illustration of a strong muffin character and the words Mommy's Stud Muffin printed on the front. Choose from either a 100% cotton baby bodysuit or soft comfy t-shirt for your little bundle of joy.